BWF World Championships Highlights, PV Sindhu vs Carolina Marin, Women's Singles Final Highlights: PV Sindhu loses 19-21, 10-21 against Carolina Marin in the final. 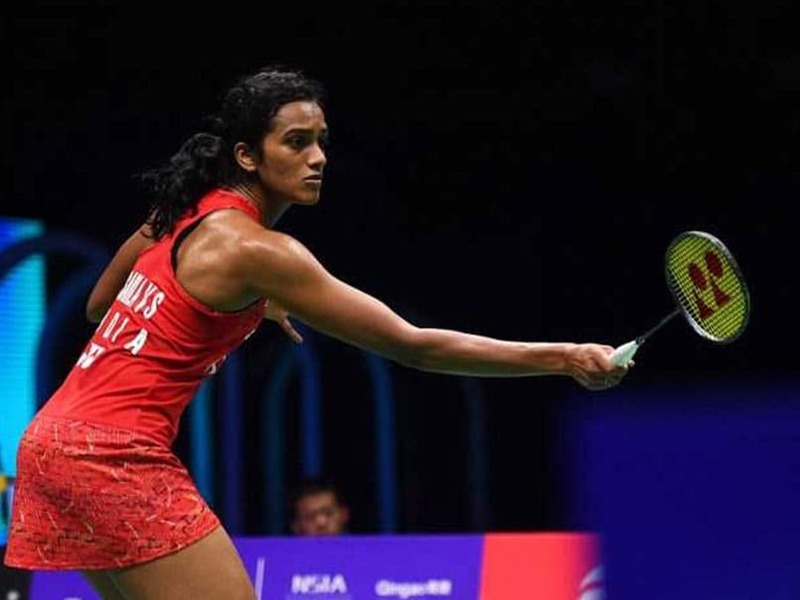 India badminton star PV Sindhu set to face Spanish seventh seed and two-time world champion Carolina Marin in the final of the BWF Badminton World Championships. Sindhu defeated Japanese second seed Akane Yamaguchi in straight games to enter her second consecutive final of the competition. 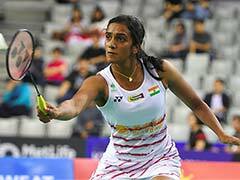 Third seed Sindhu, a three-time World Championships medallist, registered a 21-16, 24-22 win over Yamaguchi in the semi-final clash. The Rio Olympics medallist took 55 minutes to edge past Yamaguchi. Carolina, the 2016 Olympic gold medallist, overcame China's sixth seed He Bingjiao with a 13-21, 21-16, 21-13 victory in an hour and nine minutes in the other semi-final. 14:37 IST: PV SINDHU takes home silver after losing 19-21, 10-21 to CAROLINA MARIN in the final. 14:36 IST: Championship point for Marin. 14:35 IST: Marin leads 19-9 in the second game. Two points away from the title. 14:34 IST: Marin three points away from her third gold medal at the World Championships. 14:33 IST: Brilliant smash from Sindhu. She manages to get a point but still trails 6-17. 14:32 IST: Pure dominance from Marin. The Spaniard leads 17-5. 14:31 IST: Sindhu loses challange as the replay shows it's out. Point for Marin. 14:30 IST: Challenge from Sindhu. 14:29 IST: Marin leads 14-4 now. 14:27 IST: Sindhu grabs a point after the break. She has a long distance to cover. She trails 3-11. 14:24 IST: It's out. Point for Marin. The Spaniard leads 9-2. 14:23 IST: Challenge from Sindhu. 14:23 IST: Marin is playing some brutal smashes. She leads 8-2 in the second game. 14:23 IST: Sindhu looks a bit shell-shocked by Marin's aggressive play in the 2nd game. 14:22 IST: Marin leads 7-1 in the second game. She is covering entire court. 14:21 IST: That's Marin's dominance. She leads 5-0 in the second game. 14:20 IST: Third point for Marin. She exults after taking 3-0 lead. 14:19 IST: Dominant start from Marin. She leads 2-0 in the second game. 14:18 IST: Can Sindhu make a comeback? 14:17 IST: Sindhu and Marin are set for the second game. 14:18 IST: CAROLINA MARIN wins first game 21-19 against PV SINDHU. 14:17 IST: Sindhu manages to grab one point. She still trails 19-20. 14:16 IST: Game point for Marin. 14:14 IST: Umpire seems to have given a warning to Sindhu for time wasting on Marin's serve. 14:12 IST: Marin jumps and plays a brilliant smash but it lands outside the line. 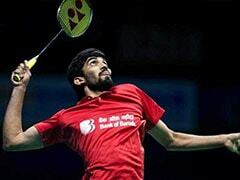 Point for Sindhu. Sindhu leads 18-17. 14:11 IST: It's 17-17 between the two shuttlers in the first game. 14:10 IST: What a comeback from Marin. She makes it 15-15 now. Stupendous show from the Rio Olympics champion. 14:09 IST: Another point for Marin. Unforced error from Marin. 14:08 IST: Two back-to-back points for Marin. She still trails 13-15. 14:07 IST: Another forced error from Marin. She has a smile on her face. 14:06 IST: Marin exults as she gets one point. She still trails 11-14 against Sindhu. 14:05 IST: Brilliant rally between the two star shuttlers. Sindhu emerges winner at the end. Sindhu leads 14-9. 14:04 IST: Another unforced error from Marin. Point for Sindhu. The Indian leads 13-9 in the first game. 14:03 IST: Sindhu starts with a bang after the mid-break. Marin hits outside the court. Sindhu leads 12-8. 14:01 IST: At the mid-break of the first game, PV Sindhu leads 11-8 against Spain's Carolina Marin. 14:00 IST: Smash from Marin but it lands outside the line. Point for Sindhu. The Rio Olympic silver medallist leads 10-8. 13:59 IST: Brilliant drop shot from Sindhu. Marin fails to judje it. Sindhu leads 9-7. 13:58 IST: Back-to-back points for Marin. What a comeback. The Spaniard trails 7-8 in the first game. 13:57 IST: Sindhu collects one more point. She leads 8-5. 13:55 IST: Unforced error from Marin. Sindhu leads 6-4. 13:53 IST: Point for Sindhu. She still trails 2-3. 13:52 IST: Unforced error from Sindhu. Marin takes 3-1 lead in first game. 13:51 IST: Marin starts with a bang. She collects the first point. 13:50 IST: Umpire introduces both players and we are underway. 13:49 IST: Both the players are ready. 13:48 IST: Big opportunity for Sindhu to win India's maiden Gold medal at World Championships. 13:47 IST: Sindhu and Marin are warming-up. 13:46 IST: PV Sindhu makes her entry now. A loud cheer for her. 13:45 IST: Spain's Carolina Marin is making her way to the court. 13:44 IST: The wait is over. It's time for the mouth-watering clash between PV Sindhu and Carolina Marin. 13:35 IST: China's Zheng Siwei - Huang Yaqiong wins the mixed double title at World Championships. The duo won 21-17, 21-19. 13:30 IST: The mixed doubles final ends. Next up Sindhu vs Marin women's singles final. 13:27 IST: India batting legend Sachin Tendulkar's message for Sindhu. 13:23 IST: Former India cricketer VVS Laxman wished Sindhu ahead of the final. 13:17 IST: Overall, Marin has a 6-5 advantage over Sindhu, who had beaten the Spaniard in their last encounter at the Malaysia Open in June. 13:15 IST: Sindhu had lost to Marin in the final of 2016 Rio Olympics. 12:38 IST: PV Sindhu has a great chance of winning a gold medal for the first time for India. 12:35 IST: India have 7 medals at the World Championship - 2 Silver and 5 Bronze. 12:26 IST: The women's double match between Japan's Mayu Matsumoto - Wakana Nagahara and Japan's Yuki Fukushima - Sayaka Hirota has just ended. Japan's Matsumoto - Wakana Nagahara have won the title clash 19-12, 21-19, 22-20. 12:00 IST: Hello and welcome to the Live coverage of the BWF Badminton World Championship final between PV Sindhu and Carolina Marin. The final pits Sindhu against Carolina, who defeated the Hyderabadi in the Rio Games 2016. Even though they have won six matches each against each other, Sindhu has won three out of four games she faced Carolina since the final loss in Rio. For Sindhu, it will be yet another great opportunity to become the first Indian to win a world title as she continues to drive the country's badminton to newer heights. In the mixed doubles final, Chinese top seeds Zheng and Huang Yaqiong will meet compatriot second seeds Wang Yilyu and Huang Dongping. The women's doubles final will be an all-Japanese affair between second seeds Yuki Fukushima and Sayaka Hirota and 11th seeds Mayu Matsumoto and Wakana Nagahara. In the men's doubles final, Japanese fifth seeds Takeshi Kamura and Keigo Sonoda will take on Chinese fourth seeds Li Junhui and Liu Yuchen.